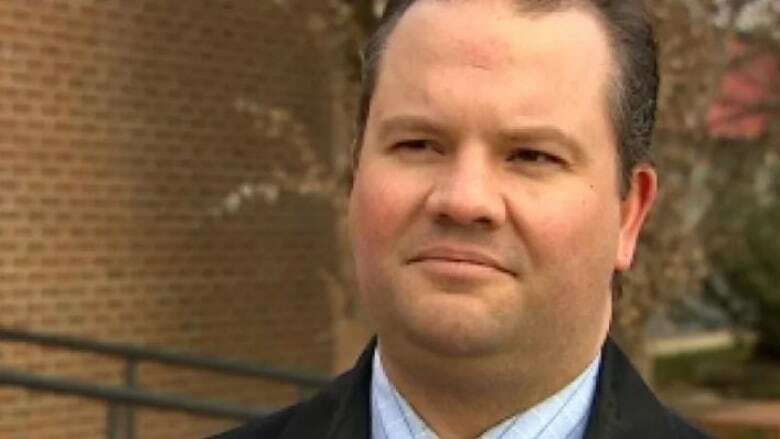 Alberta's election commissioner is probing allegations that someone is obstructing his investigation into claims the campaign of former United Conservative Party leadership candidate Jeff Callaway received "irregular financial contributions" during the 2017 leadership contest. CBC News has obtained copies of letters Election Commissioner Lorne Gibson sent on Jan. 24 to two individuals. The letters for the first time confirm a formal investigation involving the Callaway campaign. "You are receiving this letter because my investigators have been in contact with you regarding an investigation undertaken by this Office," each letter begins. "The investigation is examining allegations of irregular financial contributions made to the Jeff Callaway campaign during the 2017 United Conservative Party leadership contest. "It has come to the attention of my Office that an individual has been contacting, or attempting to contact, one or more persons who are subjects in this investigation in order to dissuade cooperation with investigators and hinder the proper disposition of matters in order to avoid these proceedings," the letters say. Gibson does not identify the individual. Callaway, the former Wildrose Party president, ran for the UCP leadership against Jason Kenney, former Wildrose leader Brian Jean, and Calgary lawyer Doug Schweitzer. In early October 2017, Callaway abruptly dropped out of the race and announced he would support Kenney, who won the leadership less than a month later. At the time, Callaway said he found himself agreeing with Kenney through the course of the party's debates and thought it best the two team up. He said he was not promised anything for supporting Kenney's leadership bid. Financial disclosures from Elections Alberta show Callaway raised, and spent, more than $94,000 in donations during his leadership campaign. Callaway did not immediately respond Saturday evening to interview requests from CBC News. In his letters, Gibson says the allegations of obstruction into his Callaway campaign investigation, if substantiated, may be considered a breach of Alberta's Election Finances and Contributions Disclosure Act and subject to a fine of up to $10,000. More significantly, that kind of contravention of the Act is also deemed a "corrupt practice" under the Election Act — which carries a penalty of up to two years' imprisonment, a fine of up to $50,000, or both. "If you have been contacted by any person who has, or has attempted to, influence your participation in this investigation, it is very important that you bring this information to the attention of my Office immediately," Gibson tells the letter recipients. "You will be asked whether you have been contacted by any person in order to dissuade your cooperation with investigators or hinder the proper disposition of matters in order to avoid the proceedings," he continues. "You will be asked whether you have maintained a record of those conversations and communication," Gibson says, before telling the letter recipients they can contact his office with any additional questions or concerns. Gibson asks the letter recipients to contact Steve Kaye, the office's investigations manager. Kaye is a former Saskatoon city police officer. In an emailed statement, UCP executive director Janice Harrington said the party is "not aware of the letter in question and cannot speculate on who the supposed unnamed individual referred to within may be. "The Party is not aware of anyone pressuring people not to participate in an Elections Commissioner investigation and would encourage all Albertans, be they members or not, to abide by all laws," her statement continued. Harrington said the UCP would not, and has not, discouraged individuals from cooperating with the election commissioner, adding Gibson has not approached the party, Kenney, nor Kenney's leadership campaign. The allegations of improper donations to the Callaway campaign were first reported by StarMetro in December. In response, Kenney's campaign issued a news release on Dec. 16 that stated his campaign "did not transfer funds to another campaign, nor did we transfer funds to individuals for the purpose of reaching another campaign. Running a successful leadership campaign is not cheap, and we needed every dollar." Kenney's campaign manager, John Weissenberger, in another statement issued in December, acknowledged the Kenney campaign had met with Callaway. "Many meetings happened prior to the start of the UCP leadership campaign," Weissenberger said. "This is part and parcel to garnering potential support in a leadership campaign. "Mr. Callaway indicated he was considering running. We told Mr. Callaway that the decision on whether or not to run was his, and that he would need to find his own funding should he choose to do so." Gibson, the province's former chief electoral officer, is less than a year into his mandate as Alberta's first election commissioner. The non-partisan commissioner is tasked with enforcing new stiffer regulations under the Election Act to help root out "dark money" in election campaigns.